n our sixty-first regular episode of Metagamers Anonymous, the cast barely scratches the surface of the application of philosophical constructs as character rewards and motivations. They also talk a little personal philosophy, ruminate on some recent game-related challenges, wax rhapsodic regarding some movie choices, and touch on Erik’s struggle to compress cosmic horror into heroic fantasy and still come out ahead. And sane. 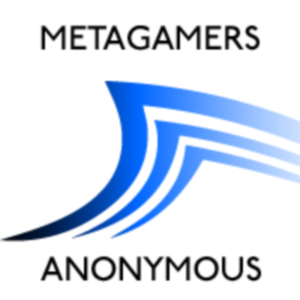 Metagamers Anonymous is a weekly podcast dedicated to tabletop roleplaying games and (mostly) related material. Join in the fun by posting comments or questions to our forum, or drop us a line at feedback@prismatictsunami.com.